The Braemar is a classic green wellington boot from Hoggs of Fife. 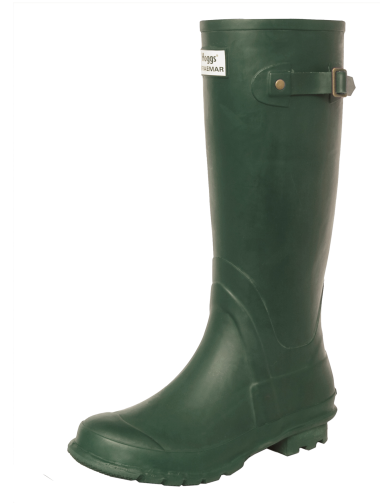 Handmade from natural rubber to Hoggs exacting specifications, this is an excellent value boot. An adjustable strap and contouring around the calf and ankle combine to create a comfortable fit. For additional comfort and safety, these excellent wellingtons feature a slip-resistant profiled rubber sole and a cushioned insole.